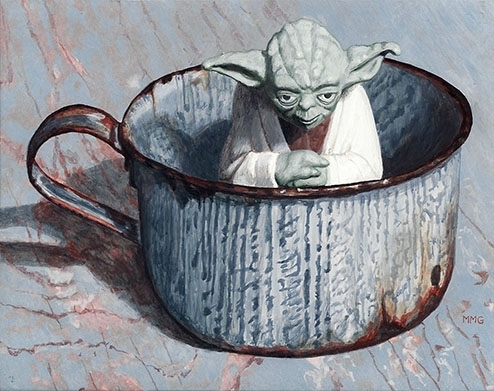 Yoda in a sugar bowl - 5.5" x 7"
Jadeite Yoda - 6" x 6"
Yoda in Spring - 7" x 5.5"
Yoda in two cups - 8" x 10"
Yoda in a tea cup - 8" x 8"
Yoda with Halo - 3" x 3.5"
Yoda in a tin cup 5.5 " x 7 "
Yoda and Pink 6" x 6"
Yoda in a gold trimmed cup 6" x 6"
I have a small plastic Yoda that was from a Taco Bell kid's meal. One day I put it in a tea cup, which made me laugh. 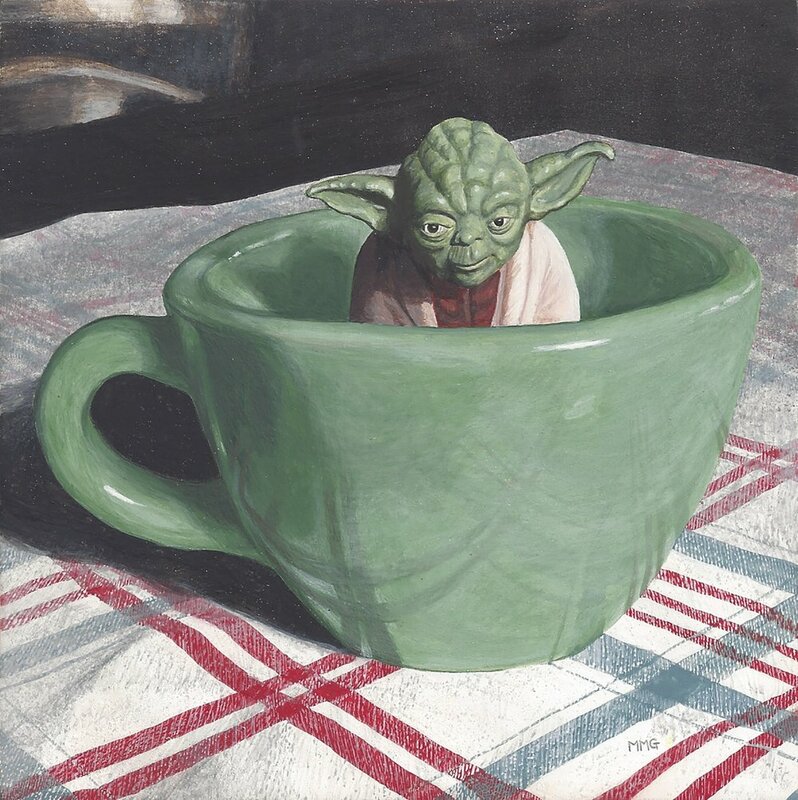 Since then, I'm painted a dozen or so paintings of Yoda in tea cups. 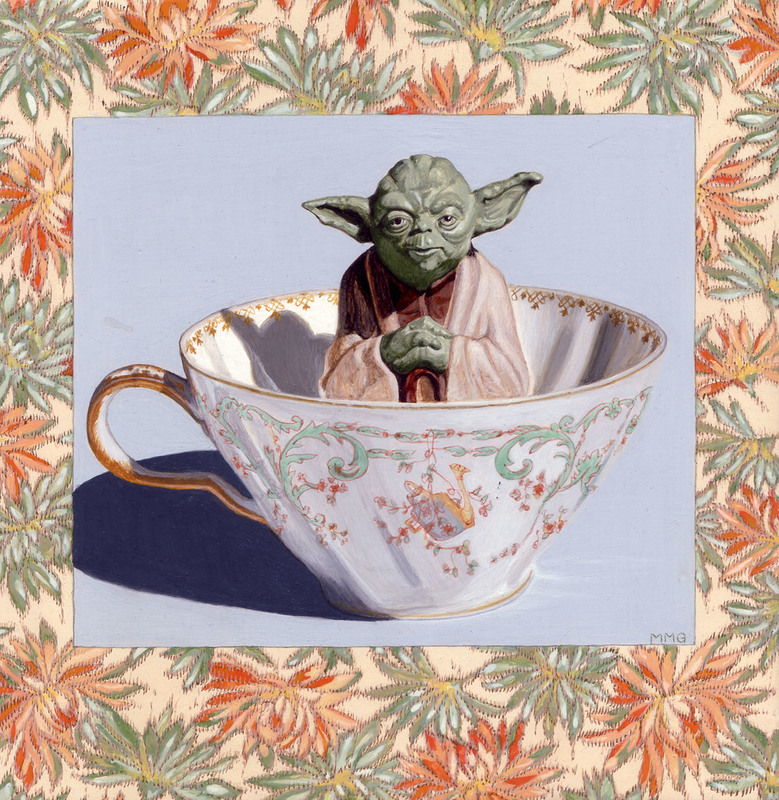 I suppose I will continue to do so, as I have some spectacular tea cups that people have given to me in support of this project.